I am on the hook to report back to the membership on the conference, which I plan to do via a series of blog posts. For this first one, a few high-level notes about the conference itself. First, perhaps fittingly for an movement devoted to making things, there was an emphasis on practical outcomes. The idea was very much to organize conversations around topics deemed urgent by the community with the goal of defining project ideas and connecting people who could run with them. NoM itself isn’t really staffed to manage these projects on their own, so they want to act as more of an enabling organization. Did it succeed on these terms? I have no idea. Probably it’s too early to say. I will say, though, that the makerspace “industry” feels a lot like a much larger version of individual makerspaces: full of ideas, under-resourced, and not especially organized. If any projects are going to move forward, it’s most likely going to be because some individual makerspaces somewhere decide to focus on them. Second, everyone everywhere is facing the same issues. So much so that it’s a seems like a bad idea to try to solve a problem without at least looking around to see what others have done. And yet, this is mostly what we all do and probably will continue to do. I say this not out of some deep-seated cynicism. 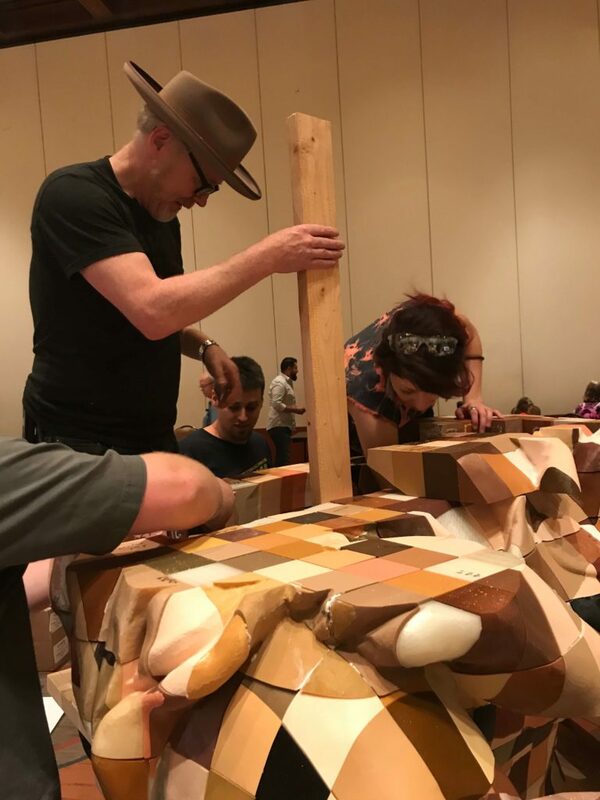 It just doesn’t seem like the connective tissue is really there yet between makerspaces. And honestly, this is a tricky problem. How do you go about finding the 15 makerspaces in the country that have recently moved? How much time is required to track them down and drag advice out of them? The NoM Slack has actually been fairly active since the conference, so perhaps this will be a forum that achieves critical mass. Third, the conference itself generated a few metric tons of paperwork, and my blog posts are not going to attempt to reproduce the contents of any sessions. If you’re interested, the 2018 agenda is still available on the NOMCON site. If you click any of the session titles, you will be taken to a doc with a list of attendees and notes from each session (although I still haven’t updated the doc from my session, so, yeah). I’m going to be focusing instead on the some of the relevant bits I took away from each session, and in particular from some of the most interesting side conversations that took place.